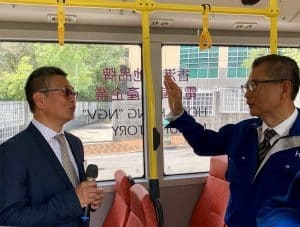 2018-04-10 Welcoming the visit of Hong Kong’s Financial Secretary to our 12-metre electric bus at the Hong Kong Productivity Council on April 10, we have conveyed to the Secretary the hope that the government will step up its drive to promote the use of electric vehicles and support local electric vehicle enterprises. 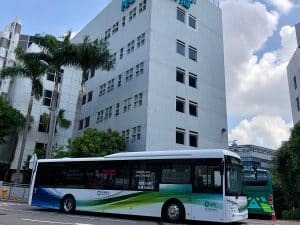 Our pure electric bus, built to EU standards, has recently been typed-approved by the Hong Kong Transport Department. The bus demonstrates its strong performance capabilities on the challenging road conditions in Hong Kong.